It's been just over a year since Minnesota's Surly Brewing expanded into Manitoba, making Manitoba the very first international market for the brewery. In the year they've been in Manitoba, I can't tell you if the project has been a success or a dud. Surly recently did a collaboration with Torque Brewing called Callahan Rye IPA (which I'll be reviewing in coming days) and they've been bringing out new products to Manitoba pretty frequently.. in fact, this beer (Surly Bender Oatmeal Brown Ale) and Surly North Rising APA were both brought to Manitoba in the past couple weeks. 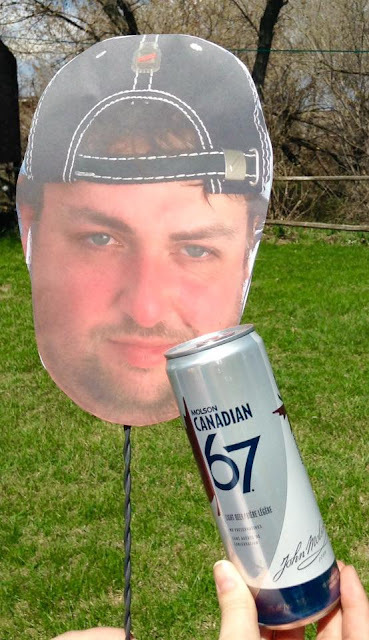 Flip side: Todd the Axe Man flopped big time - The problem is that Manitobans don't like to spend $7 on a beer unless if it's a bit 750mL and at least 8% ABV. So now the beer is being discontinued and being sold for an insane good deal at $3.00 per can.. sure the beer was canned a year ago next week.. but it still tastes great, but definitely not $7 worth at this point. I do hope Surly stays in Manitoba permanently, I consider them an honourary Manitoban brewery. 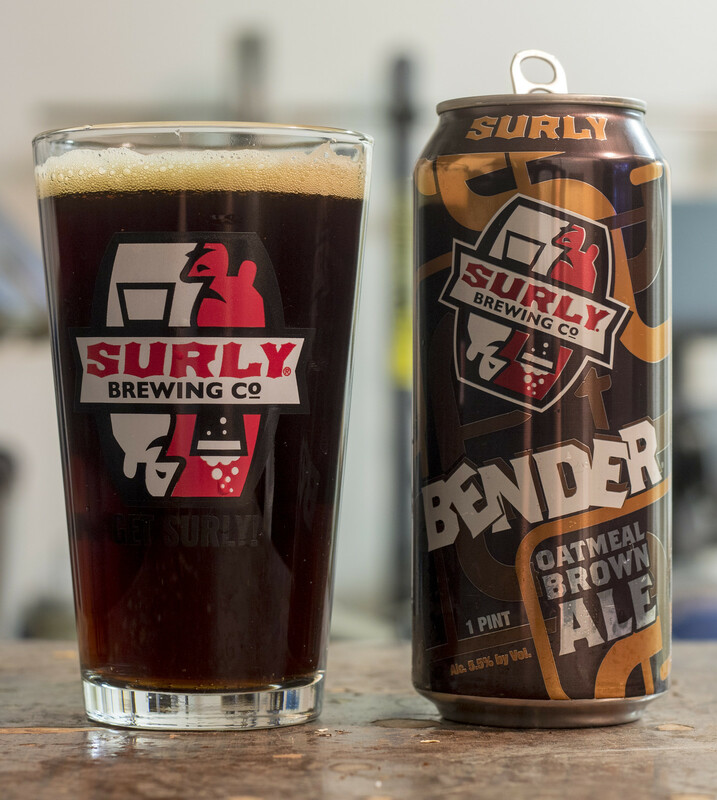 Surly has introduced their Bender Oatmeal Brown Ale and Surly Coffee Bender to Manitoba. Their regular Bender is available for a limited time at Liquor Marts, while Surly Coffee Bender is only available at Quality Inn Craft Beer Store in Winnipeg. THIS was Surly's very first beer. The brown ale is described as being crisp and lightly hoppy, complemented by the velvety sleekness oats deliver. Belgian and British malts usher the cascades of cocoa, bitter-coffee, caramel, and hints of vanilla and cream. Appearance: Pours a mildly dark nutty brown ale with a faint amount of transparency in the body. Light amount of carbonation in the body and a finger's thickness of yellow-beige head on top. The head doesn't seem to go anywhere except for a little bit of lacing on the side. Aroma: With it being basically winter here in Manitoba, this smells like something I'll be craving when it gets even colder - it has a moderate roasted malt profile that gives it a presence of burnt caramel, a hint of coffee, hint of cocoa and just a sprinkling of oats to give it that breakfast of champions vibe to it. Taste: Sweeter than I expected compared to the aroma - it's a rich dark fruit profile (raisin), caramel, cocoa, mildly toasted maltiness - not quite coffee-like but kind of nutty. 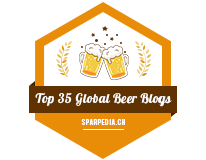 There's a mild taste of oatmeal popping up once the incredible sweetness of the beer dies down, making it reminiscent of lots of my favourite oatmeal stouts to a point. Soft and silky on the palate, leaves behind a bit of an earthy/oaty aftertaste at the end. Overall Thoughts: When I purchased this, before ever looking at the label, I expected it to be an oatmeal stout... then I was kind of worried that this could be just a mild brown ale. Well, this is pure Surly quality - it's more sweet than anything else. There's the oats that give it a bit of a grittiness to it, but not to the point where it's the headliner, but just to give it a bit more body to it. Bender's very smooth on the palate, incredibly easy to drink and surprisingly dark fruity. I'm looking forward to trying their Coffee Bender in coming days, I'm assuming that one's definitely going to be a bit heavier and of course, roastier. Serious props to Surly for having "Beer/Bière" on the side of the can, they could've had a sticker with the needed Canadian information.. I can't imagine that having a can just for the Manitoban market with a couple extra words would be cheap, especially with the cost of aluminum now days. Manitobans: Look out for the 2018 edition of Surly Darkness in the near future!